Bowmore 18 years Single Malt - Whisky4you Buy now! 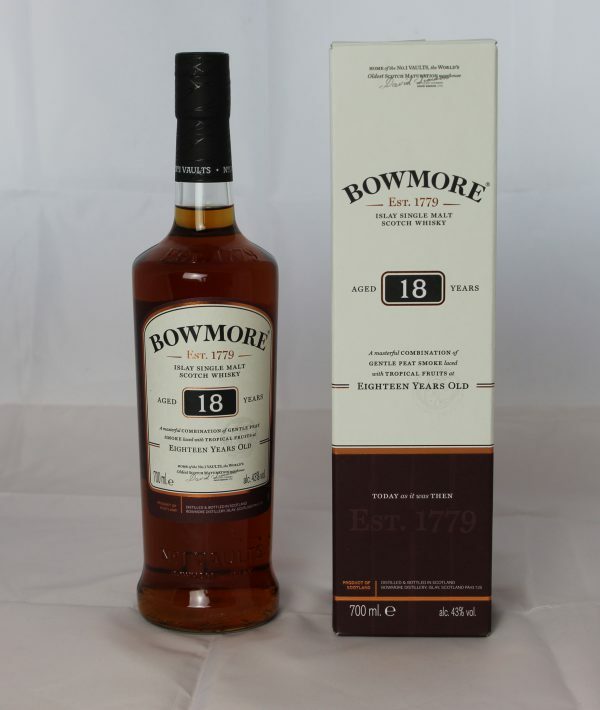 Bowmore 18 years old – a masterful combination of gentle peat smoke laced with tropical fruits at 18 years old, incredibly coplex and rewarding , this wonderful Single Malt is perfectly tempered with creamy caramel, chocolate and soft ripe fruit, leading to a long and wonderfully balanced finish. Dark and complex, Bowmore 18 years Single Malt Scotch Whisky is designed for experts. Amid Islay’s wild beauty, the fierce seas and Hebridean winds, Bowmore has been making single malt Scotch whisky since 1779. Working with the finest quality oak casks, and a tradition that’s been passed down through generations, their master distillers use just three ingredients to make Bowmore single malt Scotch whisky: barley, yeast and water. Bowmore’s founder, the merchant David Simpson, bought the land in 1766. Since that time they continue to hand down the traditions, skills and expertise of the earliest days of Scotch whisky. At the Bowmore distillery, you’ll find more Scotch history than anywhere else. It’s in the fresh sea air, the old stone walls, and the earth upon which every cask of Bowmore whisky matures. A place of legend and craftsmanship, of beauty and reflection, the No. 1 Vaults is where Bowmore single malt Scotch whisky is meticulously matured until perfect. The Bowmore master distillers have been doing it that way since 1779. 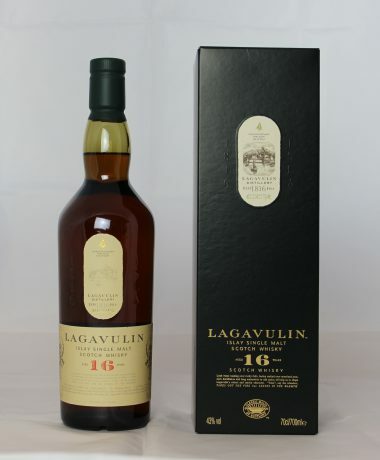 And now this eighteen-year old Single Malt replaces the well-known 17-year-old Bowmore. 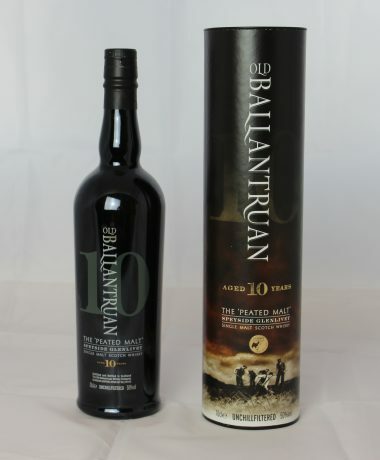 Perfect balanced nature, rich, multi-layered and meaningful, this is one of the most remarkable malts of its kind. Incredibly complex and rewarding, classic Bowmore peat smoke perfectly tempered with creamy caramel, chocolate and soft ripe fruit leads to a long and wonderfully balanced finish. 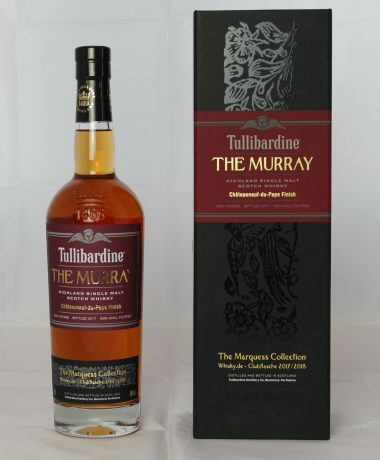 By his high age it developed a particularly complex and enriched flavor by the significant influence of sherry casks. All this is summarized in the word on the bottle: open the door to a story of deeper character. 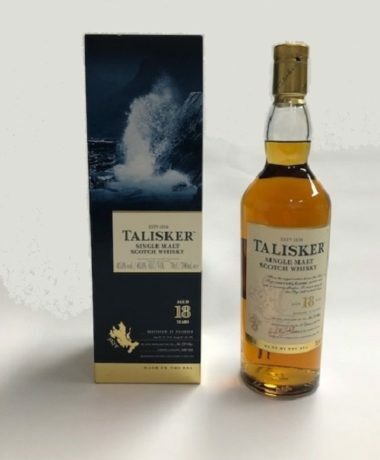 Have also a view at our tasting videos and enjoy the background articles in our blog “All about Whisky”. Aroma: Creamy caramel flavor with fruity and peaty smoke notes.